“We created a new standard for the HEDT market when we launched our first Ryzen Threadripper processors a year ago, delivering a ground-breaking level of computing power for the world’s most demanding PC users,” said Jim Anderson, Senior Vice President and General Manager, Computing and Graphics Business Group, AMD. All 2nd Gen AMD Ryzen Threadripper processors support the SocketTR4 platform, sporting sixty-four PCIe Gen 3.0 lanes, and quad channel DDR4 memory with ECC support . Breaking the world-record Cinebench R15 multi-threaded CPU test with the highest benchmark scores in the single-socket desktop processor category, the 32-core, 64-thread 2nd Gen AMD Ryzen Threadripper 2990WX is designed for content creators, developers and PC enthusiasts, according to AMD. The 2nd Gen line-up features four total processor models coming to market in 2018, all of which are built on the 12nm Zen+ core architecture and are compatible with existing and new X399 motherboards. 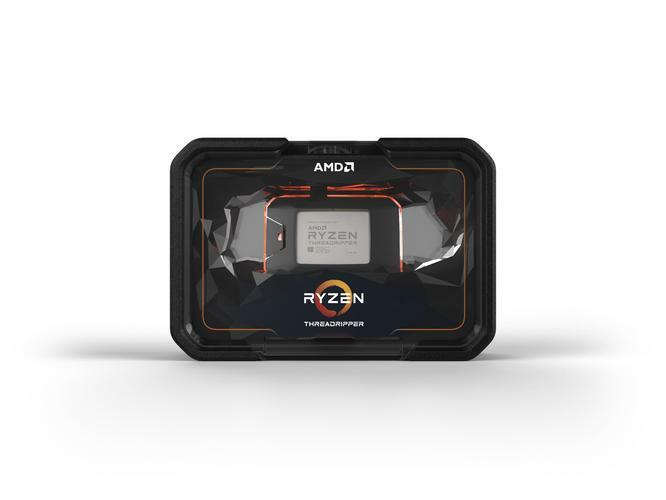 With the 2nd Gen AMD Ryzen Threadripper 2990WX and 2970WX processors, AMD adds the new Ryzen Threadripper WX Series above the existing Ryzen Threadripper X Series processors. All 2nd Gen AMD Ryzen Threadripper CPUs are supported by a full ecosystem of new and existing X399 platforms at launch, with designs already available from top motherboard manufacturers including ASRock, ASUS, Gigabyte, and MSI. Along with the broad selection of motherboards, the SocketTR4 platform supports a wide range of new and existing cooling solutions, including the new Wraith Ripper air-cooler showcased at Computex 2018. This cooler is now available from CoolerMaster and features compatibility with the SocketTR4 platform and all 1st Gen and 2nd Gen Ryzen Threadripper processors. In Australia, the AMD Ryzen Threadripper 2990WX is priced at $2699 while the 2950X is $1349. In New Zealand, the AMD Ryzen Threadripper 2990WX is priced at $3069 while the 2950X is $1529.